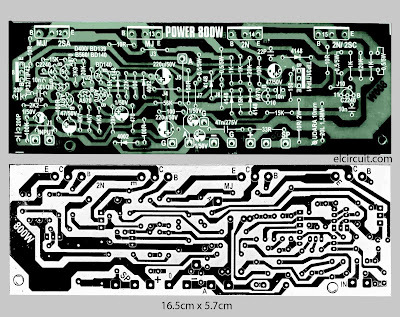 For those of you who like electronics especially DIY'ers audio power amplifier, the power circuit that I share this is perfect for you. 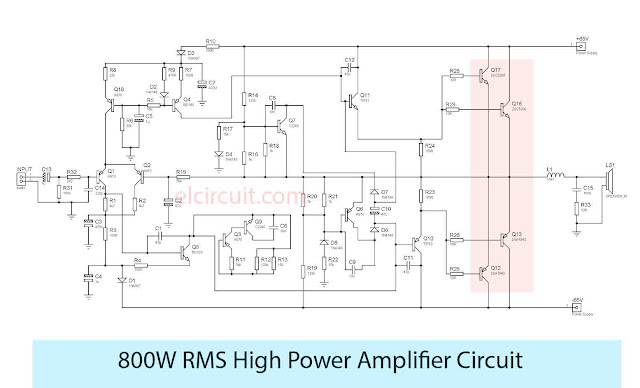 The following power amplifier circuits have very important parts in building a power amplifier with an OCL system. 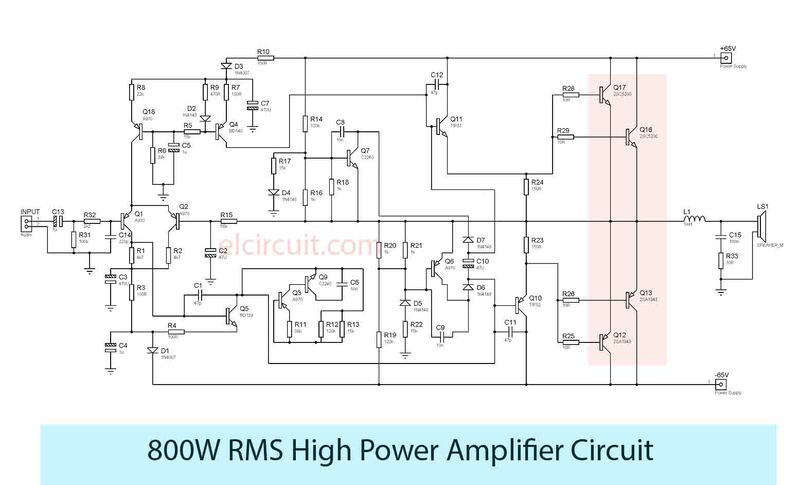 This amplifier has an output power of up to 800W RMS with a minimum voltage supply of 55VDC - 75VDC, The final transistor using 2SC2922 and 2SA1943 circuit scheme, and PCB Layout also to facilitate the assembly I share below. 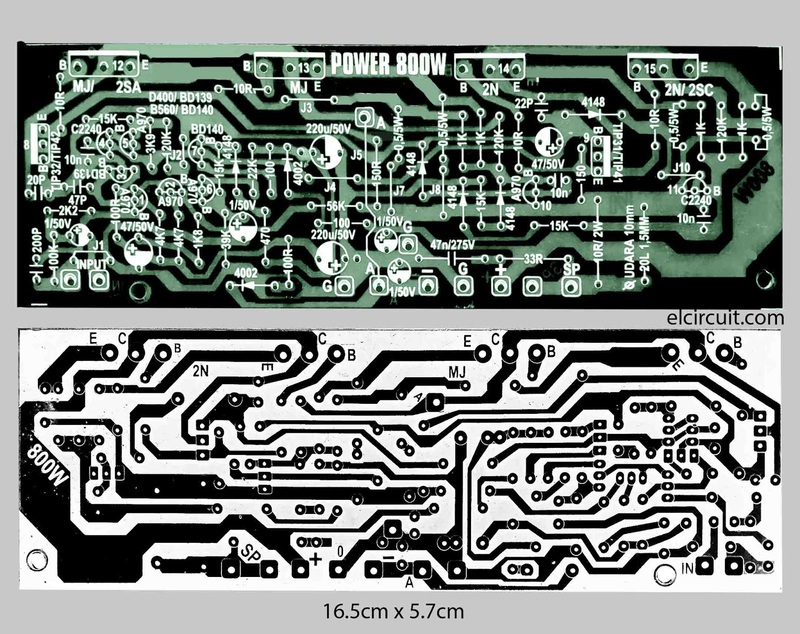 With jutst 4 transistor ? ?